If you are into boats, yachts, canoes or just about anything that floats, then the Miami Boat Show is for you. 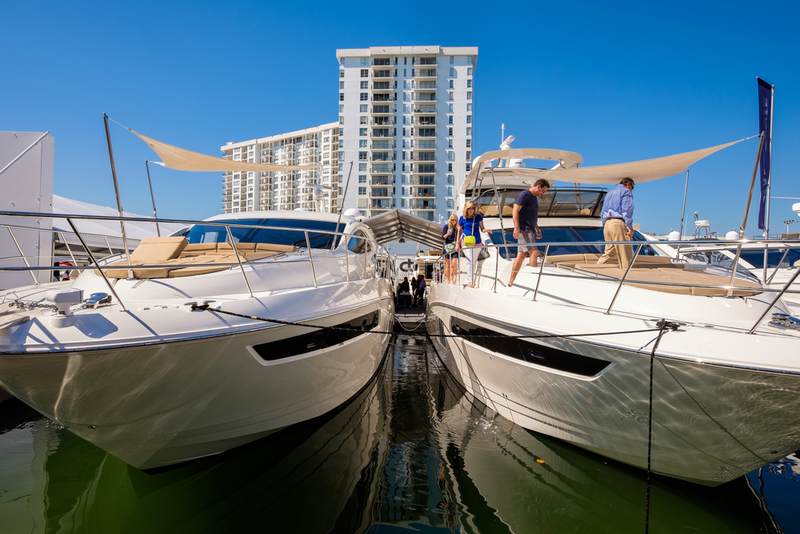 Miami will become the place to be during the President’s Day weekend when more than one million boating enthusiasts are expected to visit the Miami International Boat Show. Considered to be the largest exhibition of its kind in the world, the 2017 edition marks the event’s second year at the Miami Marine Stadium Park & Basin. While we’re eagerly awaiting the start of the event, we’ve decided to create a list of what you can expect from one of the most impressive boat shows in the world. As mentioned above, this year’s edition will take place on President’s Day Weekend, from February 16 until February 20. The premier day is on Thursday, February 16 and the activities on this day are set to start at 10 AM and end at 6 PM. As for the show days, they begin on Friday, February 17 and end on Monday, February 20 and last from 10 AM until 6 PM, daily. Get ready to explore more than 1.2 million square feet of space featuring thousands of new and pre-owned vessels. Shuttle buses and free water taxis will help you discover more than 1,300 boats on land and around 550 in-water exhibits. Make sure to wear a pair of comfy shoes so that you can check all these amazing boats. Bayside. Strictly Sail Miami will feature hundreds of sailboats, a vast collection of sailing catamarans, and numerous courses. A very critical thing to know is that pets, including those that fit in a carry bag, are not allowed at Miami Boat Show. The only exceptions are service dogs. So, it’s better to leave your pets home or find pet-friendly accommodation. For the 2017 edition, there will be more exhibitors offering sea trials for interested shoppers who want to take their dream boat for a test in the open waters. The number of boat exhibitors has increased, meaning that there will be more options to choose from if you’re interested in purchasing a boat. More than that, you can attend the “Discover Boating Hands-On Skills Training” course. Keep in mind that space is limited, so we recommend you to register in advance. For more details about the Miami Boat Show 2017, check out their official website. With more than one million boating lovers flocking to the Miami Boat Show, you can expect to have a difficult time booking a flight during this period. So, why not skip the lines and avoid the hassle of flying by renting a private jet charter? Not only that you’ll be able to avoid the crowded airports, adjust flight times around your schedule, and reach your destination faster, but you’ll also arrive in style at one of the classiest events in the world. With Mountain Aviation you can enjoy all the benefits above and more. Comfortable and convenient, we offer a smooth experience from start to finish.